Handcrafted by expert Amish woodworkers, our New Haven Bookcase with adjustable shelves is a stellar piece of craftsmanship that will complete any office. 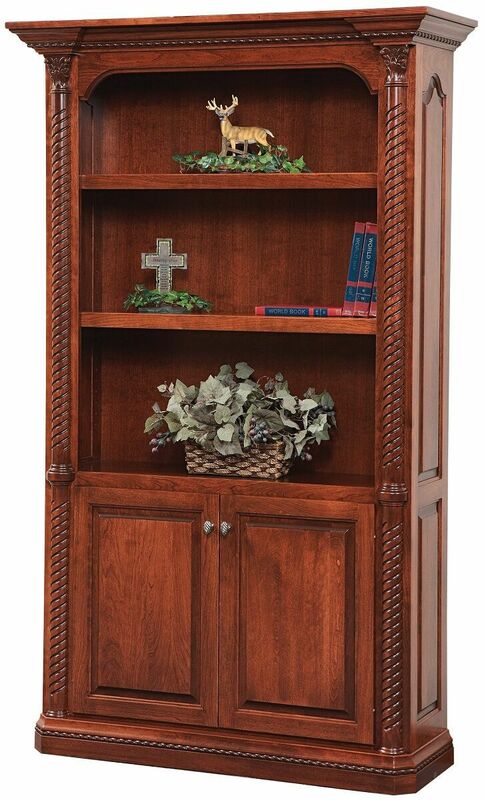 Regal raised panels, complex corner carvings, refined rope moulding, and beautiful braided columns are a feast for the eyes in our New Haven Bookcase. Beyond its beauty, the durability of this masterpiece is evident when you observe the solid wood construction, mortise and tenon doors, and adjustable wooden shelves. Your solid wood bookcase can be crafted from any of the responsibly harvested, renewable domestic hardwoods in the menu. You are also free to choose the stain and custom hardware that you desire in your New Haven Bookcase. Choose to match existing furnishings or to develop a contrasting piece. 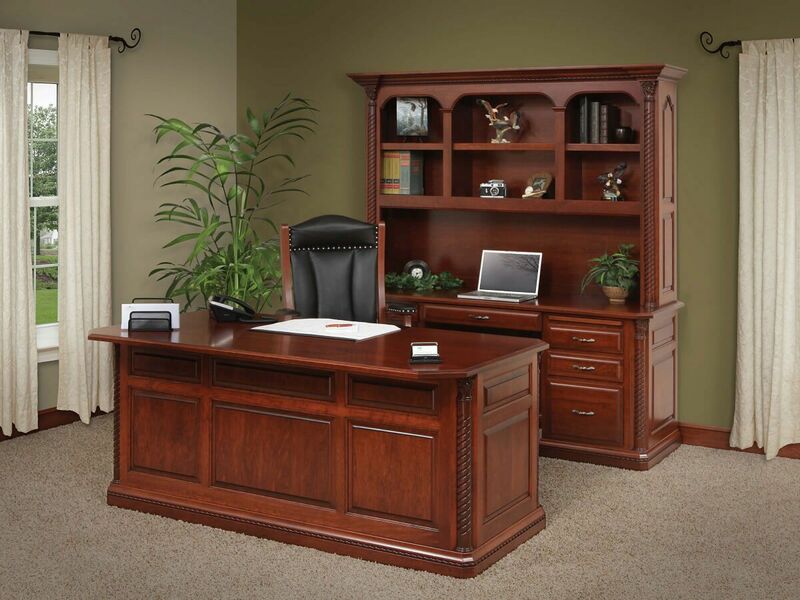 Whatever you choose, let Countryside bring a little New Haven to your home or office.